When practicing guitar, use these miniature neck diagrams to remind yourself exactly where to position your left-hand fingers. 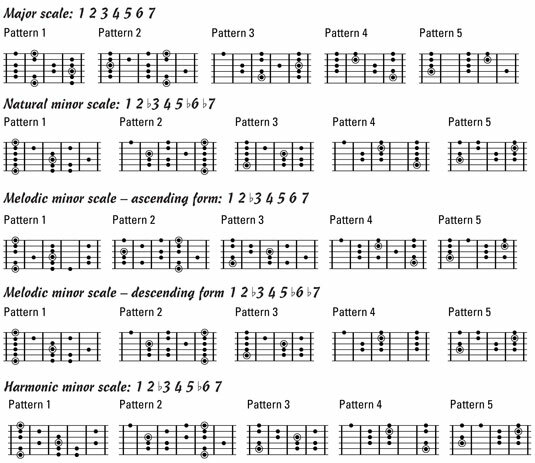 The headings include the scale formulas; use them to help you understand the scales’ makeup and how they compare to other scales, regardless of key. 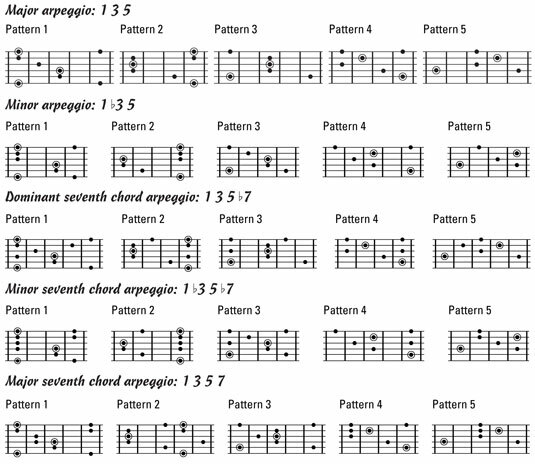 The circled dot in each diagram indicates the tonic or root of a scale or chord, which helps you find the starting note for any movable scale, arpeggio, or chord.